Holistic pediatrics uses natural medicine to promote health and wellness for children’s minds, bodies, and spirits, by addressing the whole child to support balance. 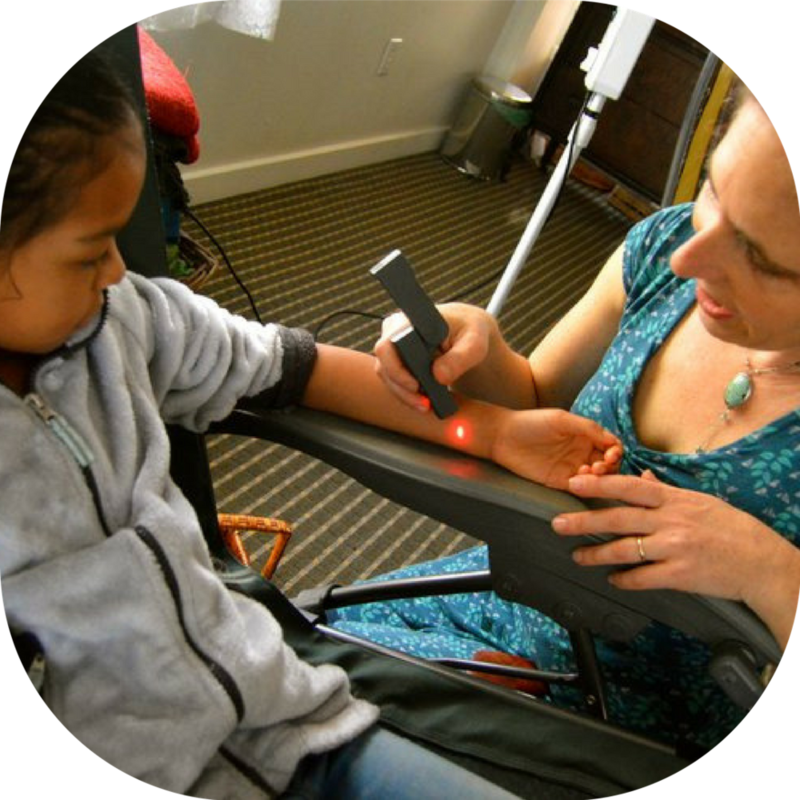 Several treatment modalities are safe and effective for children, including herbal medicines, acupuncture, acupressure, laser acupuncture (using light rather than needles), cupping, essential oils, magnets, and massage of key energetic channels, called shonishin. Sessions include focus on education and home care. Many children of all ages are quite comfortable receiving acupuncture with the thinnest, most hairlike needles imaginable. With younger children, the needles are not retained, but merely inserted and taken out immediately. This works because young children are generally very responsive to acupuncture. It helps the child if parents are comfortable. Usually it is helpful not to have much (if any) discussion with children about receiving needles ahead of time, but just to see what is allowed to unfold. We often call needles "tappers" with children to differentiate them from other types of needles they may be familiar with. With children who aren’t comfortable with the needles, we will use other modalities (see above). Children can be seen from babyhood onward. The age and temperament of the child will determine whether the child will sit still for the session or just play as we go along, and how long the session will be. Family sessions are also possible. A variety of pediatric conditions can be treated successfully with Chinese Medicine, including but not limited to: asthma, allergies, eczema, digestive problems, frequent colds and flu, ear infections, bedwetting, anxiety and depression, behavioral and developmental concerns, pain, and insomnia. Many children also come periodically for well child or health maintenance visits.